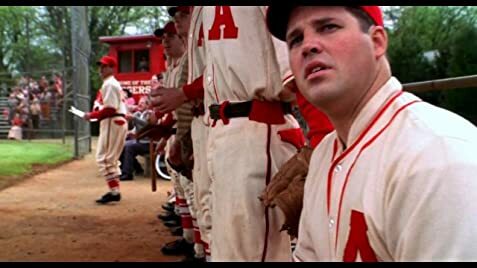 Young Ed Bloom: There are some fish that cannot be caught. It's not that they are faster or stronger than other fish, they're just touched by something extra. Q: Is 'Big Fish' based on a book? Q: What war was Ed supposed to have been in? I've had high hopes for this movie since I first heard about it some time ago. After all, most of the Tim Burton movies I've seen (barring Planet of the Apes) have been really wonderful. To say the least, Big Fish did not disappoint me. The story - by no means complex or suspenseful - was simple enough to allow the viewer to really take in the fantasy and mythology in Edward Bloom's tales. One didn't need a surprise ending or secret identities to make this film enjoyable. Rather, it was the simplicity and universal nature of the story that made it interesting. While some reviews have mentioned that the film can seem choppy at times, I didn't see this at all. The transition seemed smooth and logical, and while sometimes I found myself wishing for more scenes of younger Edward Bloom, I never felt bored by any of the movie. Nothing seemed to 'drag'. I was also quite impressed with the quality of acting in nearly the entire cast. Billy Crudup didn't really hit his stride until the end, but he was tolerable through the first three-quarters of the movie. Albert Finney did a great job of portraying a lion on his last legs, bigger than his body but unable to show it. Jessica Lange was amazing and added the emotional oomph that Billy Crudup often failed to provide. And while Ewan McGregor's role was not particularly difficult, at no point did he overplay the character, and his accent (to my ear anyway) never slipped. 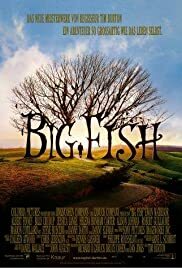 Though this wasn't as dark as Sleepy Hollow or as bizarre as Edward Scissorhands and Beetlejuice, Big Fish definitely had the Tim Burton touch in its scenery. The colors - whether dull for Elder Bloom's time or bright for Younger Bloom - matched the mood perfectly, and everywhere you looked (especially in Bloom the Younger's timeframe) there was something else to marvel at. Tim Burton fans will not be disappointed. 165 of 199 people found this review helpful. Was this review helpful to you?